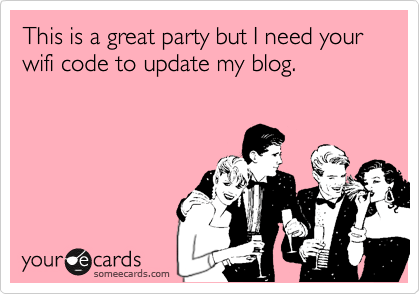 My New Year’s resolution to focus on my blogs, has really paid off….NOT! The parade of sticky notes on my computer that simply said, “BLOG,” did not help much either! When someone on LinkedIn endorses me for blogging, my thoughts are, “Dang, I should get back to doing that.” Some days I look back and feel like nothing was accomplished, but realize that I usually function at the pace of the Tasmanian Devil, until about 7 pm, when turn into a pumpkin! September 14, 2014 was my last blog post for this blog (I have 2 others too) and now I lower my head in blogger shame. Since 2004, I’ve used blogging as a therapeutic outlet, had a blast writing and connecting with others online. Secondary to that, were so many opportunities I never imagined would come from it (that could be a blog post in itself). Well, it did feel good to get something out there, even if it is basically nothing. 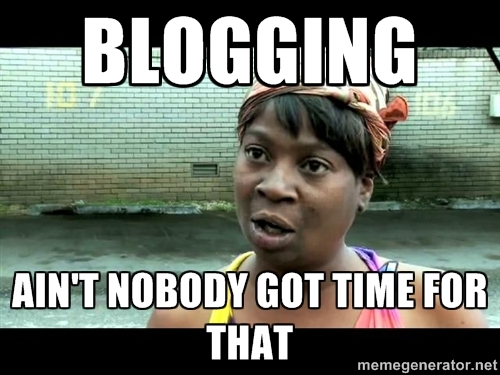 Now to tend to the other neglected blogs…oh ya…and to get back to WORK! This was a nice little break in the middle of the day:) Thanks for reading!